GSR range of carwash technology products provides the following. Solenoid valves are used in a wide range of areas. 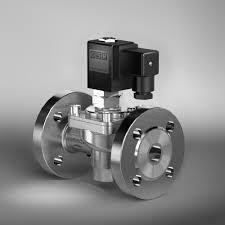 In general solenoid valves can be used to control and regulate the flow of gaseous and liquid media. They are actuated only electrically. Due to the construction solenoid valves have a safety position when voltage failure. 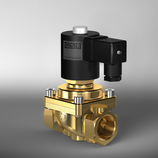 Solenoid valves are found, inter alia, in the in-house water supply or in the heating system, in gas pumps at gas stations, or, for example, in air-conditioning unit in supermarkets.However, their most frequent use in industry, such as in factory automation, in power plants, in shipbuilding, in blast furnaces construction, on oil rigs, etc. For almost any application, it is possible to design and use a matching solenoid valve. Solenoid valves are divided into different control types: pilot operated, force pilot operated and direct acting solenoid valves. The main difference of the control types from each other lies in the different pressure ranges and in the volumetric flow rate. Please contact us to offer suitable model for your requirement. valves to high pressure components as solenoid valves for the pressure range up to 900 bar. 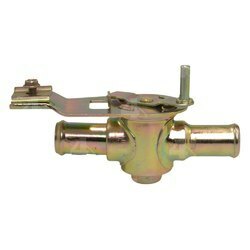 this version offers decisive advantages compared to versions with pipework connections. design of valve block solutions that are tailored specifically to the required conditions. Valve technology in shipbuildingThe international shipbuilding branch requires high-precision advanced components with absolutely reliable function. To prove to our customers that our valves really comply with the challenging specifications, a number of valves from our comprehensive product range of special valves or block valves are certified by the ship classification association Germanischer Lloyd. Here you will find a short overview of possible valve options we offer. At the moment you can choose from more than 1000 valve options. The solenoid remains cool due to the distance (spacer) between the solenoid and the heat of the medium. For use of medium temperatures with a maximum of +300°C. Installation: actuator only in hanging position. The adjustable close dampening ensures the soft closing of the valve without water-hammer effect. It is supplied as standard in G 1 1/4 to G2. Can be set to maintain a flow rate, at the required rate, after the pilot pressure has been removed. The plunger area is separated from the media area. This prevents dirt particles getting into the magnetic plunger area. 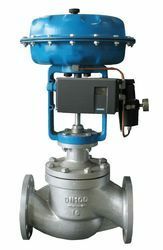 By means of manual operation the valve can be opened without power. Integrated position indicator monitoring the position of the valve. According to the option both positions "valve open" or "valve closed" can be shown. The valve opens slowly and closes very quickly. The opening time can be adjusted. The valve will remain closed even when power is connected to the coil unless the manual operator moves the position of the valve, whilst the power is connected. Should power fail, valve will close automatically. Flange solenoid valves are used in nearly all industries like the chemical industry, power stations, water treatment, the shipping industry and many more. 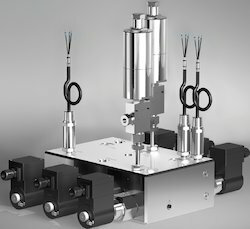 Compared to many other pneumatic or electrically operated valve types are solenoid valves distinguished by a lot of advantages, especially in higher sizes. For the flange solenoid valves are different body and seal materials are available. Flanges are according to DIN EN 1092-1. Hole pattern according to ANSI or JIS on request. For high medium temperatures safe and sturdy valves are required. 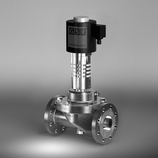 The GSR product range comprises solenoid valves and direct acting-pressure controlled valves for the special requests of high temperature applications. The GSR valves for high pressure applications are used, e. g., as pilot valve for actuators or as control valve in fire-fighting systems. We can offer high pressure valves upto 900 bar pressure range. 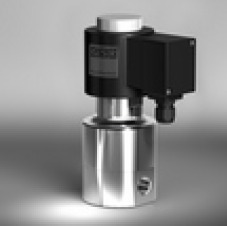 GSR offer wide range of solenoid valves, pneumatically controlled valves, accessories for CNG filling stations. Modular system for high-pressure valves: the right solution with the best cost-performance ratio. Alternatives to mineral oil can be found in gaseous form. Natural gas will remain available for muchlonger than petroleum. It combusts cleaner and is cheaper than mineral oil-based fuels. As a result, the demand for natural gas filling stations will grow significantly. 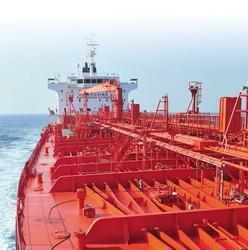 These filling and refueling systems must be operated at high pressure and under highest safety requirements. our valves have specifically been designed for natural gas filling stations, in a cartridge design for manifold valve blocks. The service-friendly cartridge can easily be replaced. Due to the valve blocks, no extensive piping are necessary. The non-return valves are by factory default integrated into the block, as well as the easy to replace filter unit in the pressure input. our high pressure valves are available as single valves up to a pressure range of 450 bar, or as 3-fold or 6-fold solenoid valve block. Due to our long-standing experience in the field of high pressure and CNG, we can provide you with all valves required for proper functioning of a natural gas filling station from our standard modular system and at high quality. The product range stretches from the pilot valve to trigger pneumatic valves to the gas supply valve. Dispenser Blocks and priority panels are also available out of the box, if required even as ATeX version. Looking for GSR Ventiltechnik GmbH & Co.KG ?